Tucked in a cul de sac, you’ll discover this nearly new ranch home for sale in Madison, AL. This Jeff Benton home has been loved by the owners, and it shows! The sellers fell in love with the home when they were growing their family. What drew them in was the gorgeous exterior, the cul de sac location, builder reputation and they were proud of the school ratings. 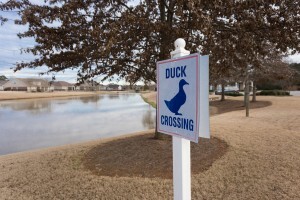 When searching homes for sale in Madison, Al, the current owners knew this was home once we turned the corner! They could envision neighborhood gatherings and watching their daughter learn to ride her bike without worries of a high traffic area. They have enjoyed the open floor plan, especially the large kitchen. They always feel connected and have found the home to be perfect for entertaining. The sellers have enjoyed pool time at the community pool, feeding the ducks and picnics at the community lake. Their daughter has enjoyed spending many hours at the kids recreation area! When I asked the current owners what they’ll miss most about their home at 476 Jasmine Drive, Madison AL, there are several things. They’ll miss the location, being tucked in the back of the neighborhood has been wonderful. They’ve enjoyed the large covered patio and large fenced yard. Inside, they’ll really miss the open layout, the large master retreat and their gorgeous hardwood floors. (I would miss their HUGE walkin closet, for sure!) They will miss the overall comforts of their home. You’ll discover over 2800 square feet, 4 large bedrooms and 3 large baths and a large 3 car side entry garage. The sellers will miss the friends they’ve made in the community and found everyone to be so warm and welcoming. Their friends in the Summerfield neighborhood have promised to welcome the new owners with open arms. For a private showing of 476 Jasmine Drive, Madison, AL, give us a call. We think you’ll love it as much as we do!